LOS ANGELES, CA--(Marketwired - December 12, 2013) - National, weekly program KLEAN RADIO, which broadcasts each & every Sunday from 6-7 PM (PT) out of the expansive studios at 790 KABC Talkradio Los Angeles, welcomes a stellar line-up of name guests for their remaining 2013 shows. On December 15th, hosts Judah Friedman and Andrew Spanswick welcome veteran broadcaster Pat O'Brien; December 22, sports uber-agent Leigh Steinberg will be live, in-studio on the popular health & wellness, issues-oriented program; and NY Times best-selling author, Christopher Kennedy Lawford, will close out the year's broadcasts on Sunday, December 29. December 15th's guest is veteran broadcaster, Pat O'Brien, who helms the popular national afternoon program, "The Loose Cannons" daily on Fox Sports Radio. O'Brien, perhaps best known for his work as a sportscaster with CBS from 1981-1997, anchored "Access Hollywood" from 1997-2004 and "The Insider" from 2004-2008. He has also covered the World Series,Super Bowl,NBA Finals and Final Four. His familiarity with issues in recovery go far beyond sports as he embraced the challenge several years ago and came out a winner. O'Brien's long-awaited autobiography will be out Father's Day 2014. Leigh Steinberg, sports' first super-agent and the dynamo Tom Cruise-star "Jerry Maguire" was based on, is making a repeat appearance on Sunday, Dec. 22nd by popular demand. The CEO of Steinberg Sports & Entertainment, a leader for nearly four decades in sports representation, appeared on KLEAN Radio earlier this year resulting in all-time record-high listenership. NY Times bestselling author, Christopher Kennedy Lawford, rounds out the year-end special guests on Sunday, December 29th. He will be previewing his long-awaited new book, What Addicts Know: 10 Lessons of Recovery to Benefit Everyone (BenBella Books). The son of actor Peter Lawford and Patricia Kennedy (John F. and Robert F. Kennedy's sister), is one of the leading activists in recovery with three bestselling books and sold-out speaking engagements throughout the country. His first booksigning for What Addicts Know is scheduled for Saturday, Jan. 7, 2014, 2 pm at Santa Monica, CA's Barnes & Noble on the 3rd Street Promenade. Sober advocate Judah Friedman and Andrew Spanswick, a renowned mental health expert often called on by the major news networks, leading magazines and popular media for his expertise in addiction disorders, broadcasts every Sunday night at 6 pm from ABC Studios on KABC AM 790 in Los Angeles. 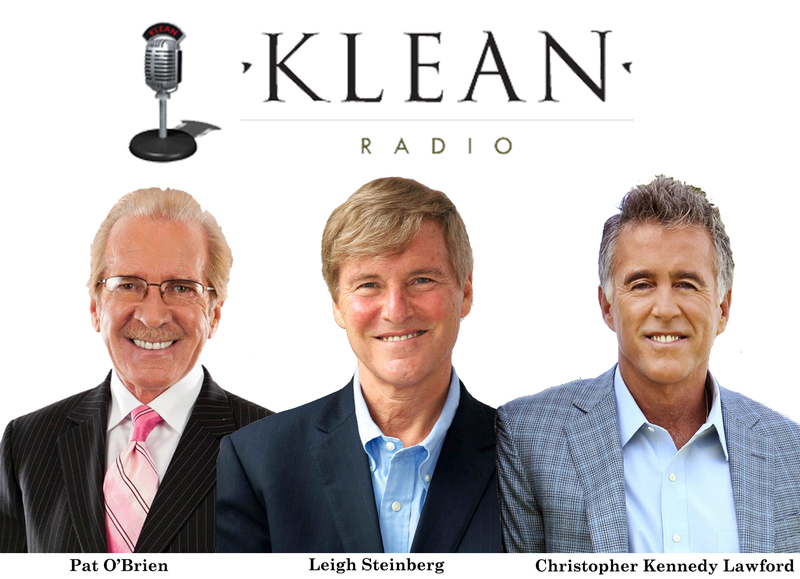 KLEAN Radio covers addiction and recovery issues with an interesting mix of celebrities and treatment experts with listener call-in. The show is also available through IHEART RADIO and live on the web at http://www.kleanradio.com.